Pollinators are important to maintain ecosystem services, being part of the reproduction and seed formation process of plant species. In this study, we reviewed the literature and developed a database of interactions between pollinators and agricultural crops for Brazil. We classified the pollinators as effective, occasional, or potential, and also identified those species quoted simply as “visitors” (without reference to pollination). We found 250 crop pollinators pertaining to the three categories quoted, with 168 effective ones. Besides, we identified the effective pollinators of 75 agricultural crops. 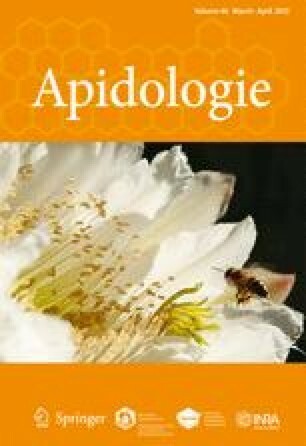 Bees pertaining to the family Apidae, mainly those from the genera Melipona, Xylocopa, Centris, and Bombus, were reportedly the most effective pollinators of agricultural crops. We also found that the exotic managed species Apis mellifera and the stingless bee Trigona spinipes are effective pollinators of some crops. In spite of some data having been originated from gray literature and the taxonomic impediment, this effort is a crucial step to clarify the gaps and bias on data. This study is the first to attempt to build, analyze, and make available a comprehensive data set about pollinators of agricultural crops in a country level, aiming to contribute to protective measures and to enhance the sustainable use of native pollinators in agriculture. The online version of this article (doi: 10.1007/s13592-014-0316-z) contains supplementary material, which is available to authorized users. The authors are grateful to three anonymous referees, Carlos Alberto Garófalo, Márcia Ribeiro, and Luisa Gigante Carvalheiro for suggestions in the manuscript, and also to National Counsel of Technological and Scientific Development (CNPq) (472702/2013-0), São Paulo Research Foundation (FAPESP) (2011/06811-5), Coordination for the Improvement of Higher Education Personnel (CAPES), and Biodiversity and Computation (Biocomp, University of São Paulo).